Here are what I consider to be 7 of the best free WordPress plugins for beginners (2018). 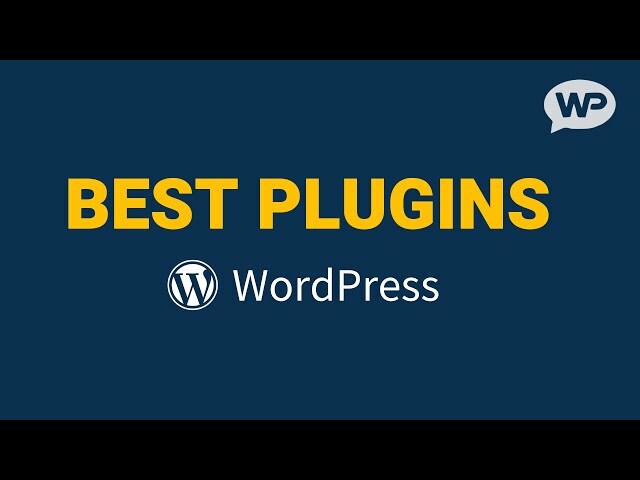 In this video we are going to cover what I personally think are some of the best free WordPress plugins available at the moment (2018). I’ve been using WordPress for over 7 years now, and these are some of my top picks! Hopefully you benefit from these plugins as much as I do. If you’re completely new to WordPress. Here are some of my best tutorials to help you get started. 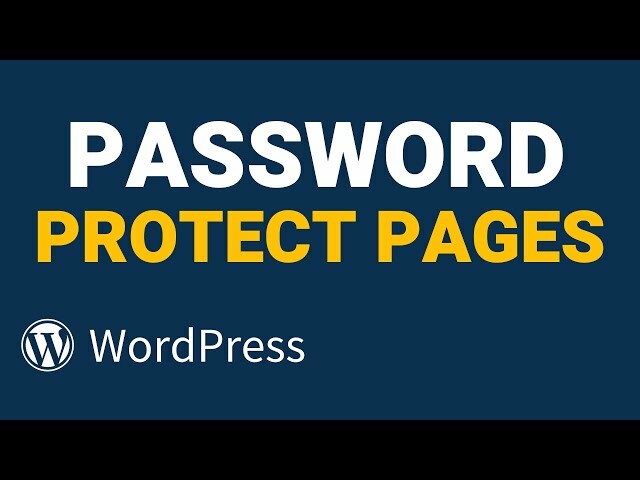 How to Password Protect WordPress Pages in Seconds! In this video we’ll cover how to password protect WordPress pages in a matter of seconds. So sometimes we might want to limit access to certain pages or posts on our WordPress site, and a super easy way to do this is by making them password protected pages. This way only people with the password can access the pages content. If you enjoy the video, please give it a like, and consider to subscribing to my channel for more WordPress videos released every week! 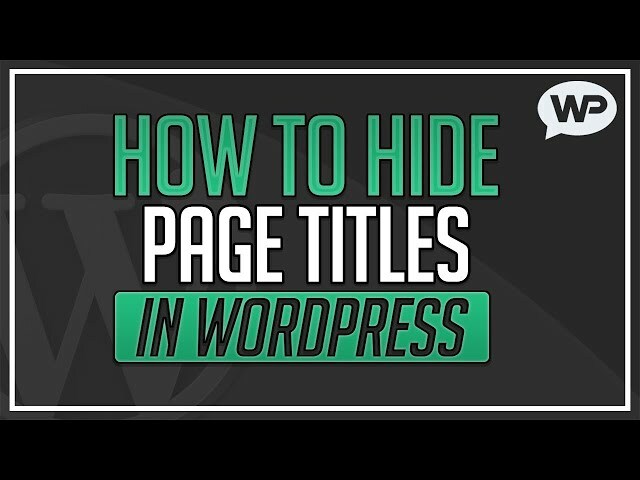 In this video we will cover how to HIDE page titles in WordPress. There are going to be certain times where we want to hide the titles of different pages on our WordPress site, for things like our homepage, or optin pages. To do this we just need to install a free plugin called “Title Remover”. If you enjoyed the video, please give it a like, and consider to subscribing to my channel for more WordPress tutorials released every week! In this video we will cover how to upload WordPress themes. When we purchase a premium WordPress theme, or download a theme from somewhere, we are given the theme in a zipped folder. 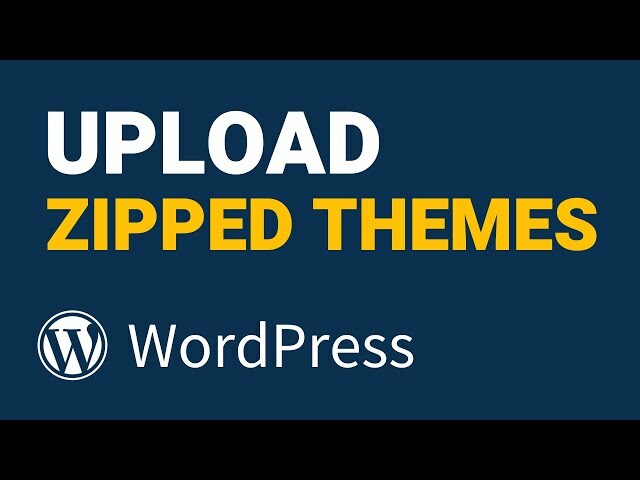 Then we just need to upload the zipped theme to WordPress (don’t unzip the theme folder). 1. Download zipped theme onto computer. 2. Log into WordPress dashboard. 3. Click Appearance on the left, and then “Add New” at the top. 4. Click “Upload Theme” at the top, and then “Choose File” in the middle. 5. Find the zipped theme file on computer and click “Open”. If you enjoyed the video, please give it a like, and consider to subscribing to my channel for more WordPress videos released every week! 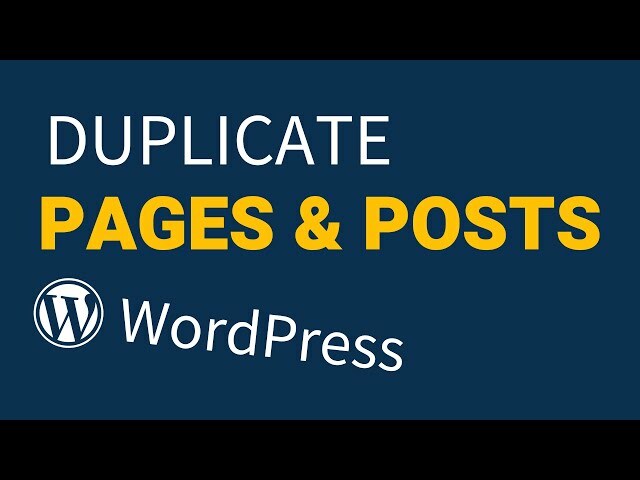 In this video we’re going to be covering how to duplicate WordPress pages and posts using a free plugin called "Duplicate Post". Sometimes we're going to want to duplicate WordPress pages and posts. So we don't have to recreate the whole page/post again... Just to change something minor! 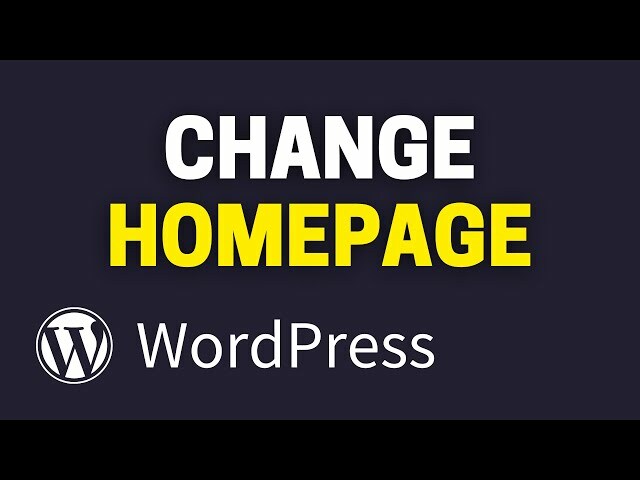 In this video we will cover how to change the WordPress Homepage and Blog page. Sometimes we are going to want to use a specific page as our homepage. Instead of a list of our blog posts (the default). This is known as a "Static Homepage" on WordPress. Then if we do this, we can have our blog posts appear on a different page. Which we can call blog, or news, or something. 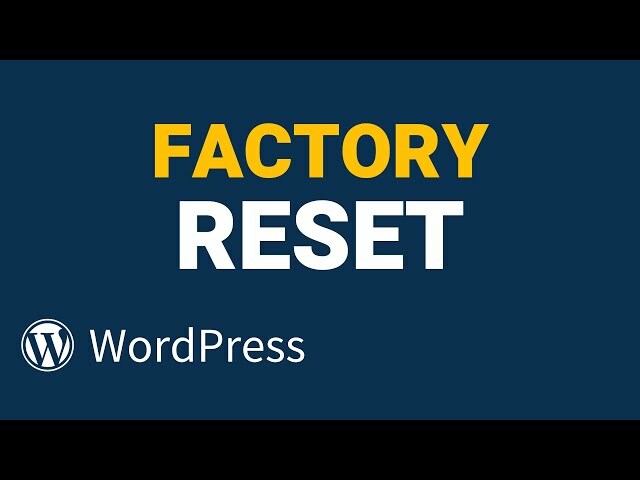 In this video we will cover how to reset WordPress back to its original settings. There are going to be times where we want to reset our WordPress site back to its original state, so we can start over again. For this example I'm going to be resetting a DEMO site I created for the tutorial. I just installed a free theme, added a few pages and posts, and assigned a simple menu. WARNING: Once we reset WordPress, there is no going back! I would recommend creating a backup before resetting. Or here are some of my best tutorials to help you get started again. 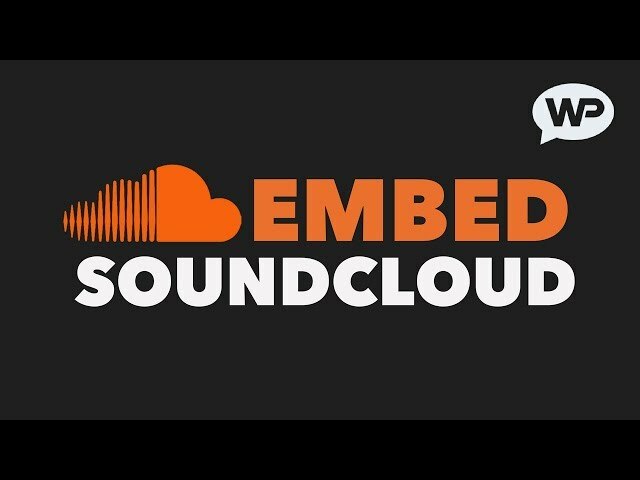 This video will cover how to embed SoundCloud in WordPress. We can embed SoundCloud players on to our different pages, posts, and widget areas. With soundcloud being such a popular choice for musicians and podcasters, it can be a great place to find content for our WordPress site, or of course we can use our own stuff from Soundcloud if we have some. 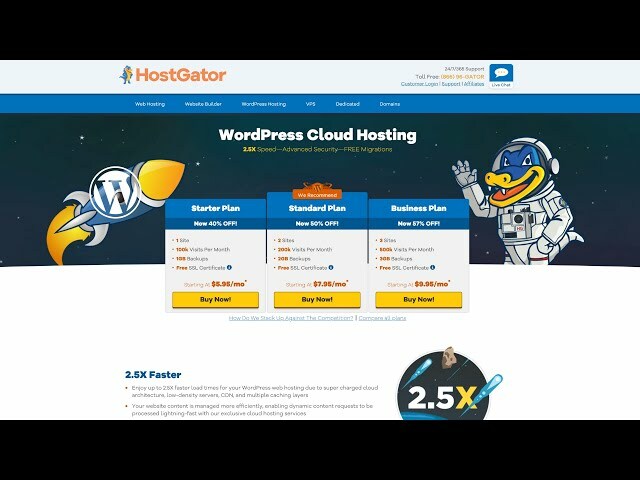 In this video I will show you how to install WordPress on HostGator in 2017. This is an updated version of an older video of mine as HostGator have changed a few of the steps since my last one. Installing WordPress on HostGator is SUPER EASY and will only take us a few minutes to complete. I really hope you enjoyed the video, and more importantly I hope you managed to get WordPress installed without any hassle. Some of the links on this page/in this video and the HostGator discount coupon given are affiliate links and coupons. This means I earn a small commission each time a purchase is made through one of the links or when my coupon is used against a purchase. This will NOT cost you anything extra but it DOES HELP support this channel and letsbuildwp.com so I personally REALLY appreciate it! Thanks, @MartieDread. In this video I will show you how to use WordPress in around 15-20 minutes. 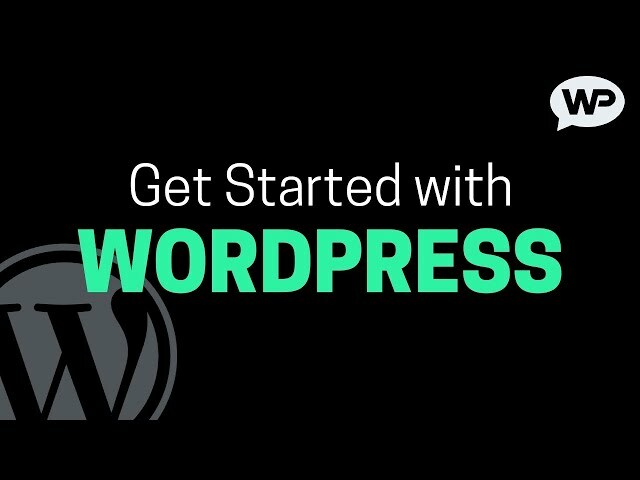 I will teach you everything you will need to know in order to get started with WordPress. If you have any questions (or just want to tell me I'm doing a great job! Haha) feel free to leave a comment below, I read and reply to every one. How To Make A WordPress Website: In this video I am going to show you how to make a WordPress website from scratch, in under 2 hours! You don't need to have any previous experience or anything like that, just follow along with this tutorial and we can make your WordPress website together! 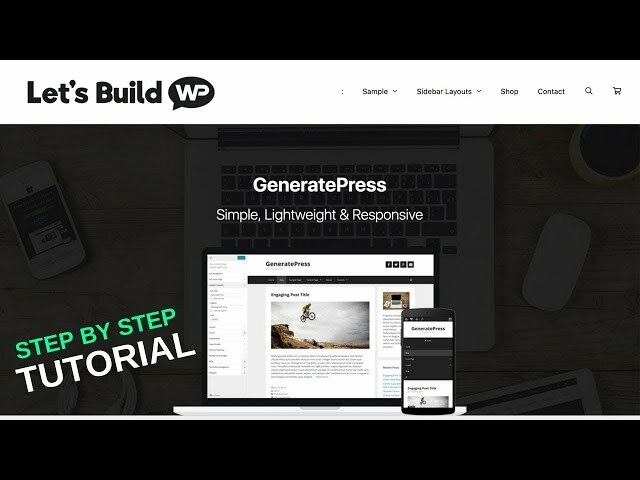 This website will be built using the free GeneratePress WordPress Theme, so this could also be titled "GeneratePress Theme Tutorial"
This short tutorial video will show you how to add posts and pages on WordPress. I will cover all of the steps including how to set up comments and featured images! 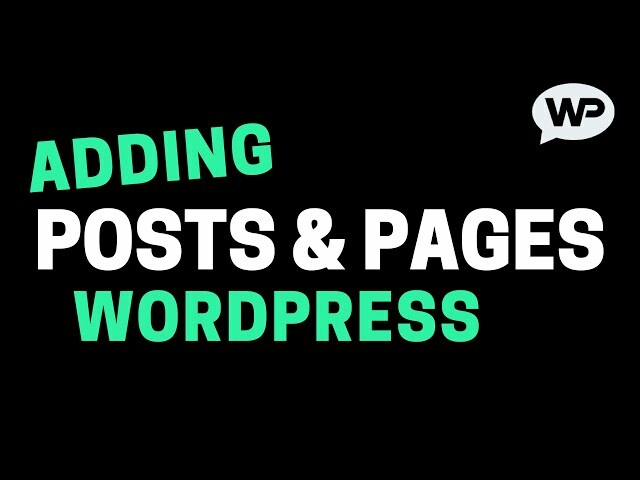 If you have any questions regarding adding posts or pages to your WordPress site, don't hesitate to leave a comment below (I read every one!). I hope you find this video helpful and if you do, feel free to subscribe to my channel – I release WordPress Tutorials like this one all the time! I would LOVE to see you over on my Facebook page!